To paraphrase a Metal Gear Solid line: “Gaming has changed“… And not for the better it seems when it comes down to not honoring a creator and doing things “strictly for business”. From the resounding “boos” and disappointing reactions from the crowd, it’s understandable why everyone is upset. This is following the recent and well-documented controversy surrounding the strained relationship between Kojima-san and Konami, which saw the former tendering his resignation which becomes effective after work on The Phantom Pain has been completed… Which is the end of this year. Konami has been wrapped in a ton of controversy over the months, from its restructuring plans to focus more on mobile games and panchiko slots to how it treats its employees. The closure of Kojima Productions and the actual departure announcement of Kojima were telltale signs of things shifting to the worst… And now this is the ultimate disrespect anyone could do to a visionary who pretty much created a gold mine in a beloved action-adventure game franchise that is recognized around the world as “A Hideo Kojima Game”. 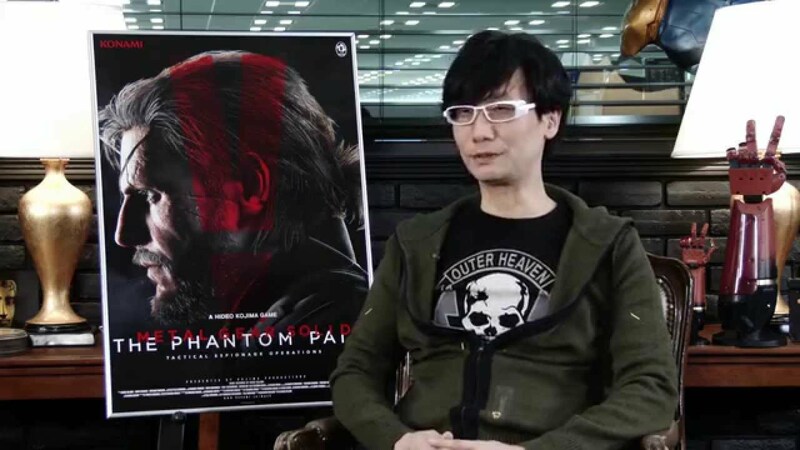 @HIDEO_KOJIMA_EN congrats, we miss you my friend! Like Geoff Keighley tweeted and with the awards that MGSV TPP won in The Game Awards, our praise and congratulations go to you, Kojima-San!